This is a really good team of experts that will help you list and sell your property. The process of listing and selling went smoothly with expert advise supplied in every step of the way. ~Bob C.
Dave made the transaction seamless! I would highly suggest Dave Gardner and his staff to take care of all your real estate needs!! Dave took the time to go over all the details to make sure we understood every aspect of the transaction. His attention to detail was remarkable. He even follows up after the closing to make sure there was no other questions or concerns. 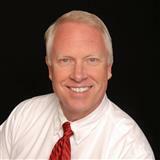 ~Kerry C.
Dave Dave Gardner and his team have helped us with 6-7 real estate projects over the past 20 years. They truly are a "Results Team" and we recommend them highly. Two people in particular in his office that were extremely knowledgeable and helpful were Debbie Sakagawa and Kelsey Genter. Our latest real estate adventure included selling a large home on an acreage and purchasing a smaller home for downsizing and all of the "stuff" in the middle like radon pump, furnace cleaning, septic system inspection, etc. And, of course the closings for both homes. They took care of so many of the details so we could focus on the move. ~Alan S.
Dave did a great job in getting our property sold. Some homes in our area of Larkspur have taken as long as 3 years to sell. He sold ours in 6 months. We expected to have to wait a year or more. He also got us our full asking price with very few punch list items. I would recommend him to anyone looking to sell their home. ~Darren M.
To anyone who is in need of a realtor look no more. 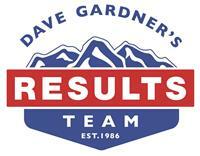 Dave Gardner and his team are the best you will find. Very knowledgeable, professional and accommodating. Dave and his team go above and beyond to deliver results. You will not be disappointed. ~Travis B.
Dave Gardner was referred to me by my ex-manager and of course i was a little skeptical... But after I had met with Dave in my home I was very impressed! Very professional, knowledgeable and willing to answer ALL my questions! I can't speak highly enough of my experience with Dave and his excellent team. He made the process incredibly easy and took extra steps many other Realtors don't (not my first experience buying or selling house)... My house went under contract in the first day of showing!.. I've got a multiple offers and Dave analyzed them all and helped me to make a wright decision. My house was sold for much more money that I would expect!.. I would recommend Dave Gardner and his wonderful team to everyone who is looking for knowledgeable, professional and NOT WASTING YOUR TIME REALTOR! He's a true professional and a genuinely nice guy. I realize it won't always be this easy to sell your home, but I think you'd be hard pressed to find a better Realtor. ~Irena V.
Dave delivered as promised. Our property had been on the market for nearly 7 years. We needed to have our lot sold by the end of the year and brought Dave on to see what he could do. He knows the market and found us a cash buyer before the end of the year. He has our highest recommendation. ~Harold O. It was a pleasure from beginning to end, couldn't ask for anything more than what this team provided. I requested several times to expedite the process to close sooner and they not only did everything requested, but also kept me in the loop through emails and phone calls. Always professional, helpful, and courteous. I would work with them again. ~Terry B.
Dave worked with me as the seller to accommodate my concerns. He found the buyer and, with his communication and negotiating skill set combined with his years of experience, accomplished the sell meeting my pre-stablished criteria. He got the job done. ~William S.